But the script serves another important purpose as well. It helps you supplement (or generate) your to-do list. This lesson was brought home to me a few years ago as I prepared the script for a troop court of honor that was then about a month away. As I wrote the script, I suddenly thought of half a dozen very important details: some presenters I needed to recruit, a couple of props I need to locate, the challenge of getting a mom who used a wheelchair onstage, etc. Now, I probably would have thought of these things eventually. But thinking of them a month ahead made the process much easier. Plus, I now had a nearly complete script in hand! 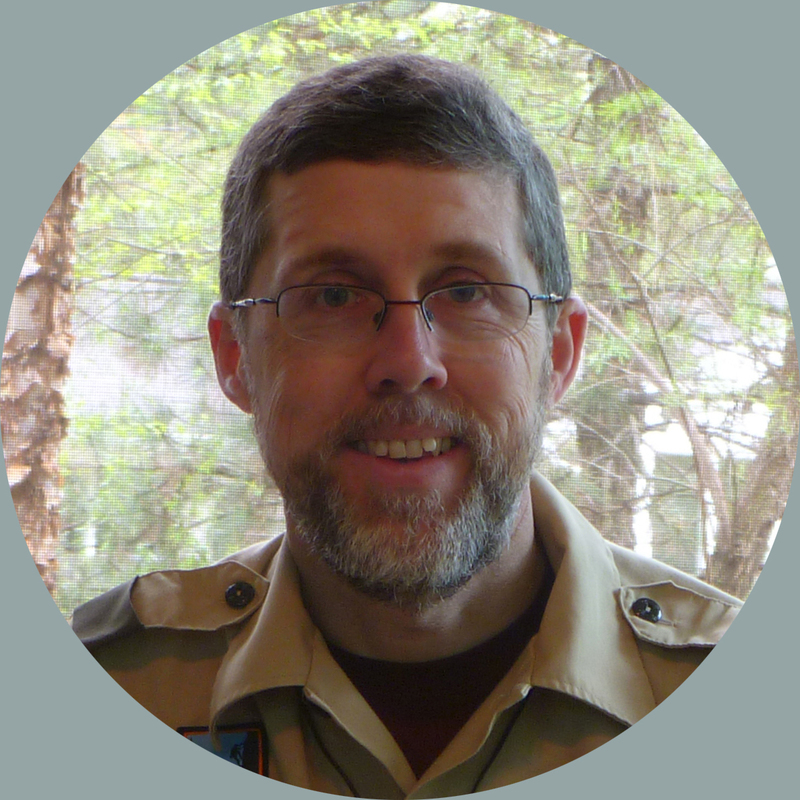 Now available from EagleBook.com: a revised and expanded version of The Scoutmaster’s Other Handbook. Check it out today–and save 20% by entering the code SMOH2017 when you check out at https://www.eaglebook.com/cart/. Thanks to an exceptionally mild winter, spring is coming early here in Kentucky, and trees and shrubs are starting to blossom. 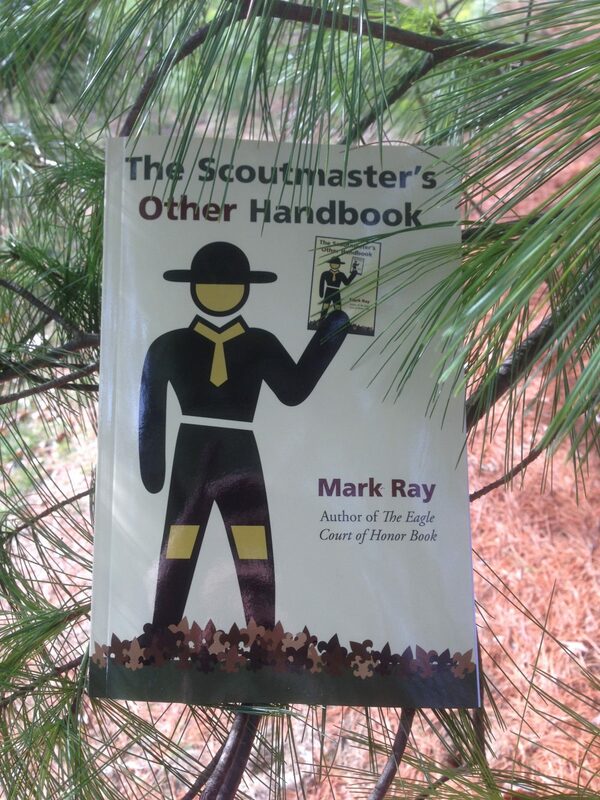 In fact, I saw the most amazing fruit on a pine tree in my yard today: the second edition of The Scoutmaster’s Other Handbook. Okay, books don’t really grow on trees. Instead, they’re made from trees (in this case, from sustainably grown and harvested trees, as certified by the Forest Stewardship Council). That means that if you want your own copy of The Scoutmaster’s Other Handbook, you’ll have to buy it. And, as you might expect, I’m happy to help. In addition, the online resources that have long been part of the book have moved to the web, which makes updating them easier and freed up another 16 or so pages for new content. To celebrate the new edition, I’m offering a 20% discount on all book orders through St. Patrick’s Day. Just enter the code SMOH2017 when you check out at https://www.eaglebook.com/cart/. 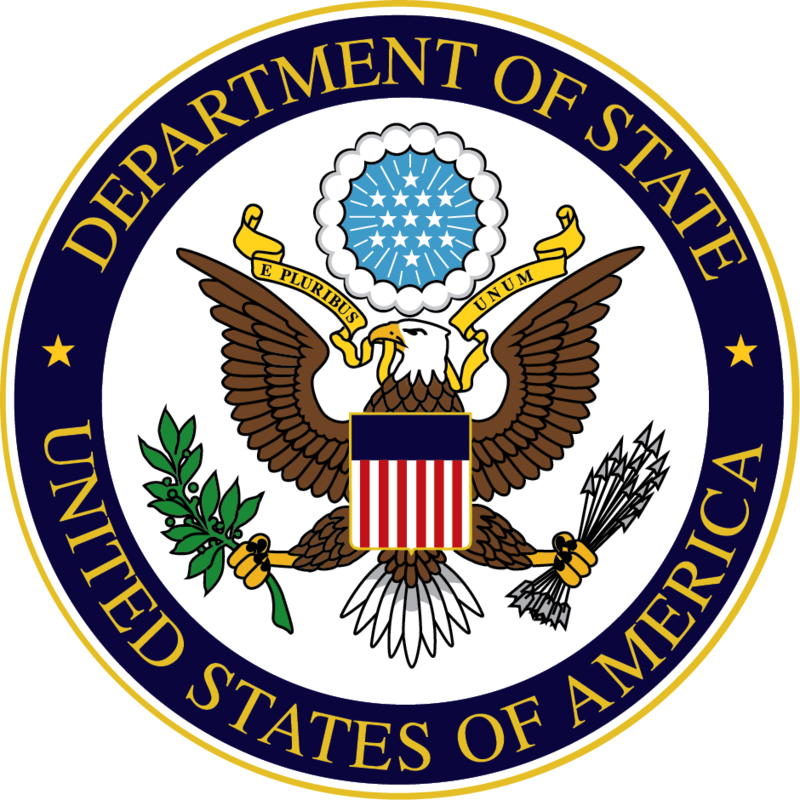 Recently, the U.S. State Department announced that Secretary of State Rex Tillerson–a Distinguished Eagle Scout and former BSA national president–will send out hand-signed congratulatory letters to new Eagle Scouts (as well as recipients of Girl Scouting’s Gold Award). In case you missed the announcement, you can learn more on Bryan’s Blog and on the State Department website. Of course, depending on how you voted last November and your position on the oil and gas industry–Tillerson is former CEO of Exxon Mobil–and maybe even whether you like Texans, you may view this news as terrific or terrible. Similarly (or maybe the right adverb is oppositely), many people had strong opinions about receiving congratulatory cards from President Obama over the last eight years. When we express visceral reactions to a congratulatory letter or card from Rex Tillerson or Barack Obama or George W. Bush or Donald Trump (once the White House Greetings Office starts sending out Eagle Scout congratulations over his signature), we get our politics mixed up with our patriotism, and we forget that the BSA is a nonpartisan organization. Just as we shouldn’t show up at campaign rallies in our Scout uniforms, we shouldn’t turn Eagle courts of honor into opportunities to promote our political views, which may or may not align with those of the Scout we’re there to honor. And in the midst of making political statements that are as impactful as Facebook shares–not very, in other words–we obscure a more important point: that it’s a pretty big deal that government officials and business leaders of all political leanings agree that becoming an Eagle Scout is something worth celebrating. Years ago, I heard a great saying: “If it’s not for the boys, it’s for the birds.” Perhaps that saying should guide you as you request, receive, and read Eagle Scout congratulatory letters. For more great ideas, check out my ebook, Showtime: 45 Top Tips from EagleBook.com and The Eagle Court of Honor Book; it costs just $2.99 and is available for immediate download from both EagleBook.com and Amazon.com. I decided long ago that the biggest challenge most Scout leaders face happens to be the biggest challenge most parents face: namely, dealing with that alien, vaguely humanoid species called the American teenager. And it’s especially challenging the first time around because kids morph into teenagers far faster than we can adapt. I think that’s why many Scout leaders who have followed their sons through Cub Scouting into Boy Scouting struggle when those boys hit their teen years; suddenly, the strategies that used to work are ineffective at best and counterproductive at worst. 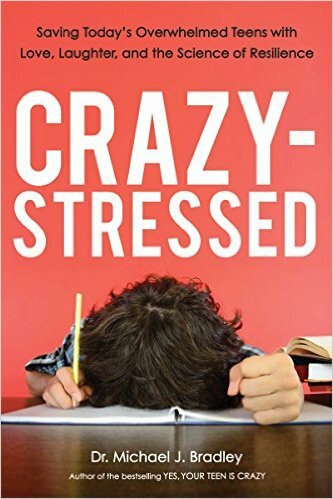 With that background in mind, I was excited recently to get a review copy the new book Crazy-Stressed: Saving Today’s Overwhelmed Teens with Love, Laughter, and the Science of Resilience by family counselor Michael J. Bradley, Ed.D. I’ll be interviewing Dr. Bradley soon for a Scouting magazine parenting article, but there’s plenty in the book that I know won’t fit into the article. As the subtitle indicates, the book talks a lot about resilience, an essential skill for any functioning adult. And a big factor in developing resilience is having the opportunity to make decisions and control your own destiny. To translate that into Scouting terms, “The bad decision made by the PLC teaches far more than the good decision made by the adults.” When you help your youth leaders make decisions well–even if those decisions are bad–you help them build their resilience muscles in ways that will benefit them–and your troop–for a long time to come. My musical tastes veer toward dead white people (classical composers) and dead black people (jazz and blues artists). Nonetheless, I did watch Lady Gaga’s Super Bowl LI halftime show, as did several other people around the country. I was impressed by her message of inclusion–sorely needed in our divisive age–and by the sheer energy of her performance. (Maybe the next fad in fitness should be “Pop Star Boot Camp.”) But I also came away with three lessons that apply to Eagle courts of honor. Really. The first relates to the artist’s dramatic entrance. As you probably know, she started on the roof of NRG Stadium, where she sang “God Bless America,” before apparently diving to the field for the rest of the show. 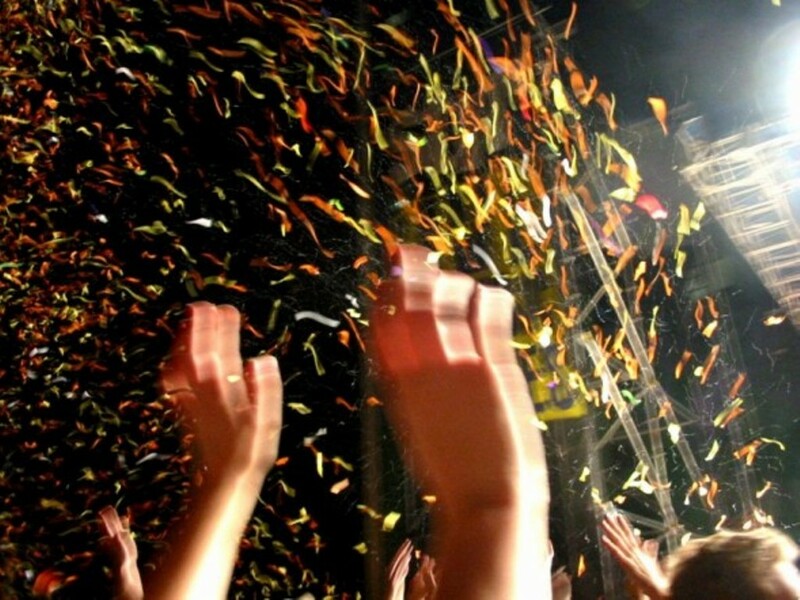 While you shouldn’t replicate this stunt–which would undoubtedly violate the BSA’s Climb on Safely policies–you could easily add an element of drama by starting a court of honor with an offstage narrator or someone in the church balcony singing the national anthem or members of the troop filing in simultaneously from four different entrances. What you can do will depend on the space you’re working with, just as Lady Gaga’s performance depending on having a stadium with a retractable roof. What you should do is anything but having the presenters and honoree milling around the stage moments before the ceremony begins. The second lesson from Lady Gaga’s performance–and really from every Super Bowl halftime show–is that a time crunch is a actually good thing. No matter how elaborate the set, no matter how big the star, the show must fit into a very tight time window and must start and end on schedule. It’s tempting to let a court of honor run on forever, thinking such a significant achievement deserves a long ceremony. But (relatively) short and snappy is actually much more impressive. So take your next-to-last draft and try to cut a few words here and 30 seconds there and an extraneous speaker over there. Like a deftly edited screenplay, the ceremony will be better as a result. And the third lesson from Lady Gaga? About her costume: Scout uniforms would be much more appropriate at your next court of honor! 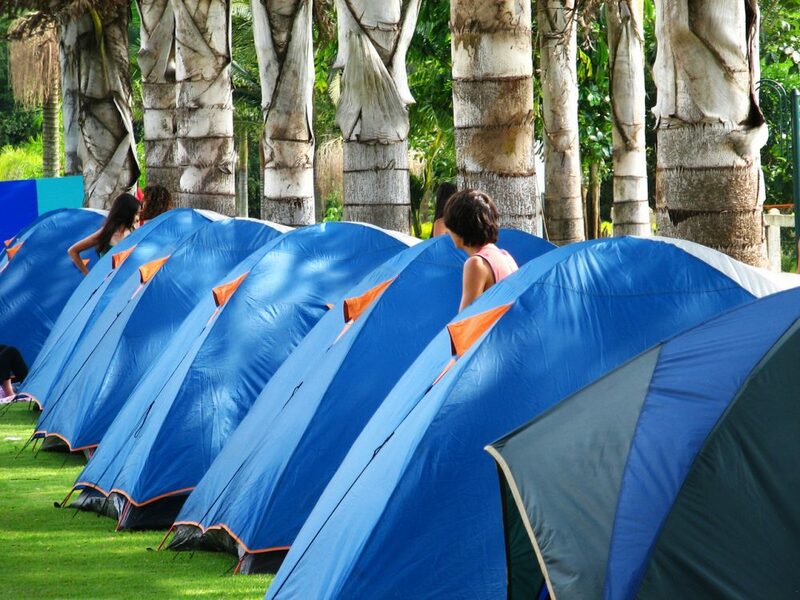 Many troop struggle to get a decent percentage of their members out on weekend trips. If yours is one of them, what should you do? 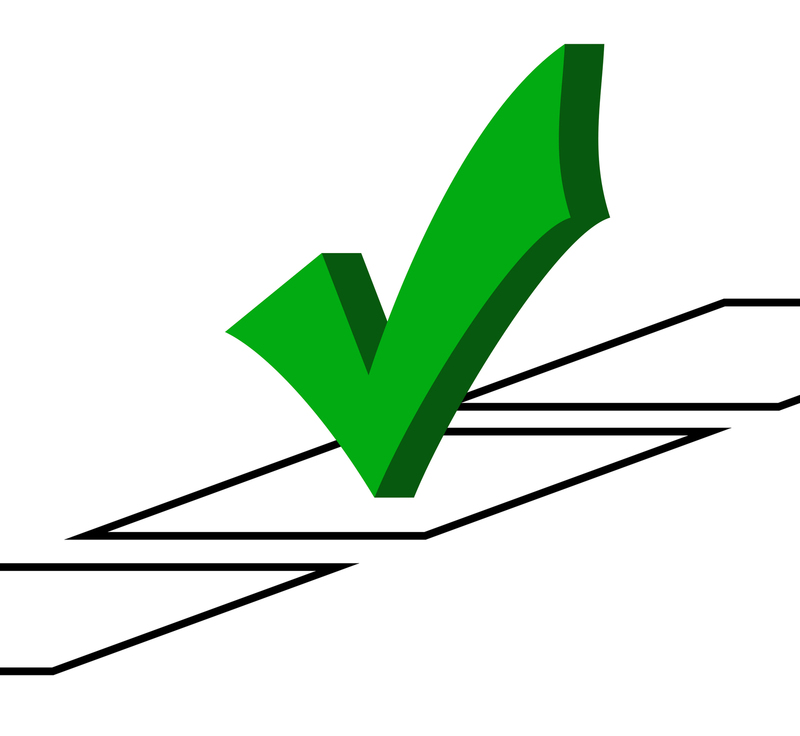 What you’ll find should help you determine what action to take next. If you discover that your high-school-age Scouts don’t want to miss Friday night football games, consider starting fall outings on Saturday mornings and coming back later on Sunday. If you discover that Scouts aren’t hearing about outings until it’s too late to make plans, the problem is communications. If they’re skipping the challenging outings but not the lazy weekends—or vice versa—talk to the PLC about striking a better balance between challenge and relaxation. The point is that you need to diagnose the problem before you can prescribe a cure. Just like your doctor asks you a dozen questions to determine what’s wrong with you, you need to ask a dozen questions to determine what’s wrong with your program. Back in December, the Boy Scouts of America signed a memorandum of understanding with the National Park Service. You can read about the MOU on Bryan’s Blog, but basically it says the two organizations will work together to promote conservation. It also highlights the Scout Ranger Program, which awards certificates and patches for participation in educational programs and service projects. 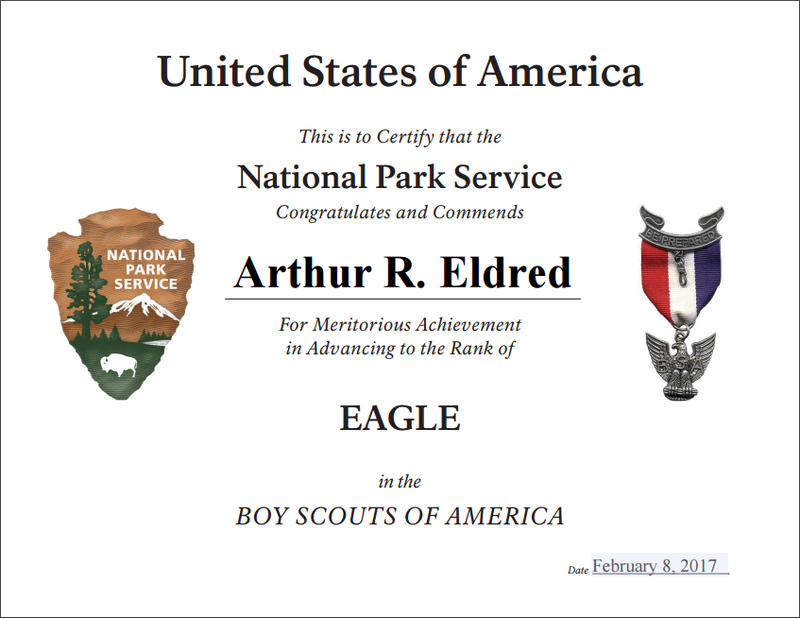 Given the close relationship between the BSA and the National Park Service, it’s entirely fitting that you can present new Eagle Scouts with a certificate from the National Park Service, as shown above. Best of all, it’s downloadable from the National Park Service website, so you can download it today for a court of honor you’re holding tomorrow–or even later this evening.